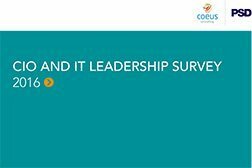 This infographic from a survey of nearly 9,000 IT leaders in 90 countries shows how CIOs are managing change, prioritising innovation and digital technology, and reporting greater job satisfaction. 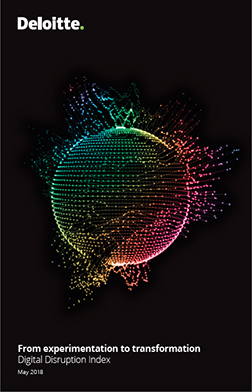 While economic uncertainty is making business planning difficult for many organisations, it is clear that digital strategies have infiltrated businesses across the globe at an entirely new level. 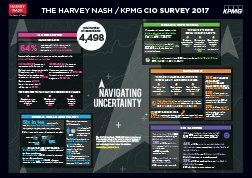 The proportion of organisations surveyed that have enterprise-wide digital strategies increased by 52% in just two years, and those organisations with a chief digital officer have increased by 39% over the past year. 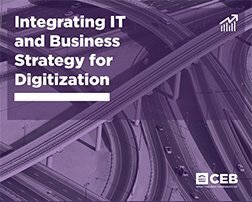 Almost one in five CIOs (18%) report their organisations have “very effective” digital strategies. 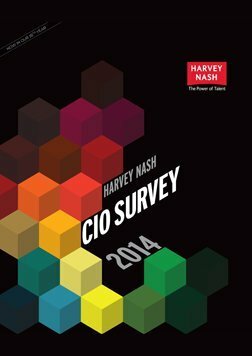 The number of CIOs who are “very fulfilled” in their role is at a three-year high - rising from 33% in 2015 to 39% this year. Female CIOs are far more likely to have received a salary increase than male CIOs in the past year, but still, the number of women in IT leadership remains extraordinarily low at 9%, the same as last year. While the fastest growing demand for a technology skill this year was enterprise architecture, big data/analytics remained the most in-demand skill at 42%, up 8% on last year.